The MicroMo is Jetboil’s latest entry into their line of cooking systems. The big selling point of the MicroMo is that it utilizes the same fuel regulator as the MiniMo (allowing for great simmer control) but it’s jammed into a much smaller and lighter stove. Want to cook food in a Jetboil while you are deep in the woods? This stove is for you. 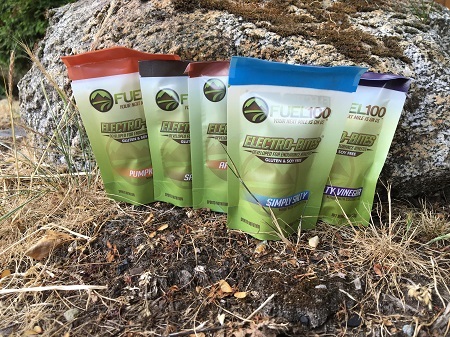 Fuel 100 Electro-Bites are a calorie and electrolyte replacement on the go snack for distance athletes. Their primary selling points are their salty taste (compared to all the sweet snacks currently on the market) and their ability to dissolve in your mouth after a quick crunch and swish of water. No more sludge like energy gels sticking in your throat! 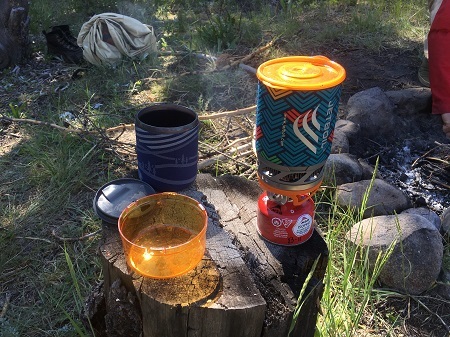 Detergent might not be something you expect to see reviewed on an outdoor blog but if you spend enough time having epic adventures you will smell bad and your average detergent probably isn’t doing it’s job. I am a particularly sweaty guy and I’ve had a problem with my outdoor and workout clothes stinking in the past. I found this out when my girlfriend started complaining that my “clean” clothes still stank. By this point most people know that traditional detergents do a poor job removing smells from synthetic clothing. 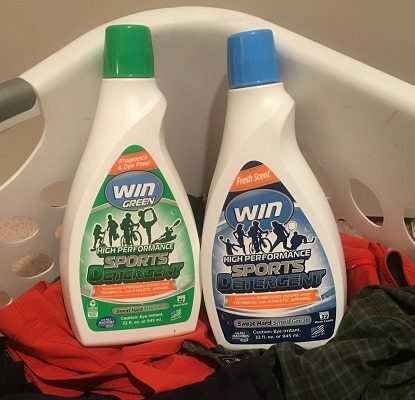 Thankfully brands like Win Detergent are here to help solve that specific problem. Without getting too deep into the science the same properties that repel water and make your outdoor clothing dry quickly causes those fabrics attract oils which in turn feed odor causing bacteria. 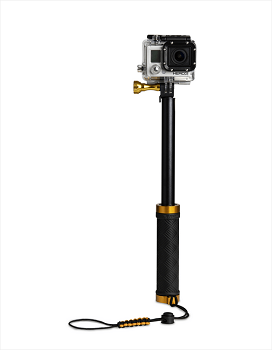 The XShot Sport Pole is a selfie stick made for your GoPro, camera, phone or other action cam. These days capturing your outdoor moments has become almost as important as actually participating in them. Everyone knows the old adage of “Pics or it didn’t happen”. Thats where the XShot Sport Pole comes in. With a multisport design and multiple, adjustable, attachment heads to secure your recording device of choice the XShot Sport allows you to get the perfect angle to capture your outdoor adventure. 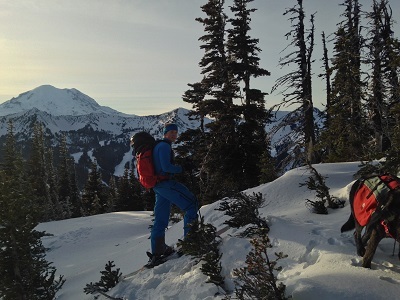 Your ski pants can take quite a beating throughout the course of a ski season. But, with a little bit of maintenance your ski pants can last not just this season but many to come. I try to do most major gear maintenance twice a season – once halfway through and once at the end. I find this cadence works great to keep everything in top shape. Obviously this can change depending on how much and how hard you use shred. It’s a quick process that produces great results to keep you more comfortably and your gear in working order. There is always a new type of bar at the local outdoor store – today’s is Ally’s Bar. 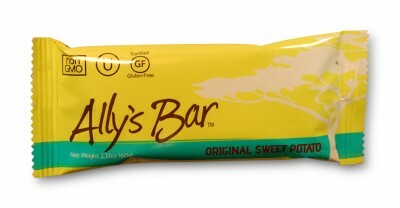 It’s a sweet potato based energy bar that boasts its non-gmo, gluten free, organic and vegan ingredients. 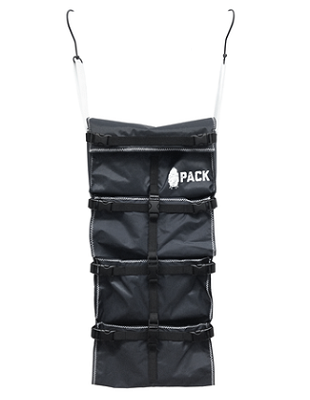 The PACK Gear Travel Organizer is a packing cube that not only keeps your stuff where it belongs in your pack but also keeps it organized like a travel closet when you get to basecamp (by basecamp I mean your buddy’s couch). Setting the Travel Organizer apart is it’s two hooks, attached to the left and right sides by webbing, that allow you to hang the Travel Organizer vertically. It’s a miniature version of those accordion shaped closet organizers. You put all your clothes, toiletries and other random stuff into it’s 6 pockets (two of them full width and 4 of them half width) then stuff it into any 30L+ backpack and head out. Once you get to wherever you are calling home pull it out and hang it up. You get to use your backpack as the daypack it was meant to be and you don’t need to leave your stuff in a weird pile stashed in the corner of a living room next to the TV to be turned into a bed your friend’s dog while you are out on a hike. 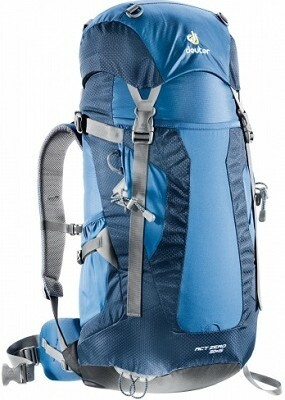 The Deuter ACT Zero 50 + 15 backpack is the Batman of backpacks. It’s not the backpack I want but it’s the backpack I need. My friends know that when it comes to any single piece of gear my backpack is the thing I’m most picky about. I own roughly 10 various backpacks and of those there are very few that I’m truly happy with. They always have great redeeming features that encourage me to use them in a particular application but are missing that one thing that would push it over the top to earn a full recommendation across the board. The ACT Zero follows that trend. It comes close to perfection but it still struggles to fulfill my list of requirements. 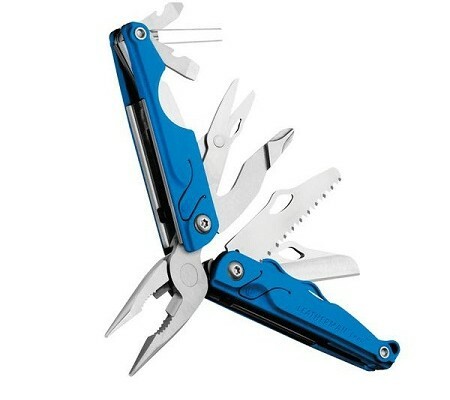 The Leatherman Leap is a unique multitool. It’s aimed at children and consequently made “safe”. According to Leatherman “the Leap includes safety locks that keep fingers from the path of the tools, a two-hand opening knife blade for safer deployment, and a secure grip designed to train users to properly and safely operate tools. The Leap also comes with a user-installed knife blade that can be added by a parent when the user is ready for more responsibility.” Let’s pretend for a moment though that I’m a responsible young man who’s earned his right to use a knife and compare this multitool to its fully featured brethren. 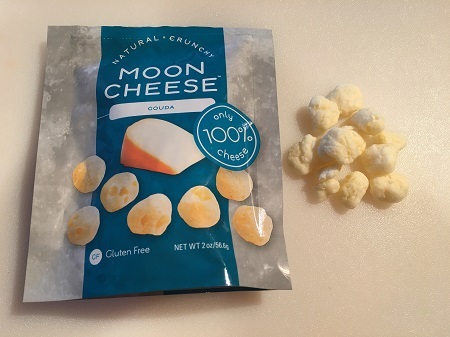 Moon Cheese. That unique delicacy that drove men wild and spurred the space race to new heights. That was until we realized the moon was made of rocks not cheese so we dropped the moon like it was hot never to return. In place of real Moon Cheese we have this stuff. According to the manufacturer they are “using patented technologies we remove only the moisture from cheese while keeping all the nutrition and flavour.” It doesn’t need to be refrigerated and when it comes down to it pretty much anything is better with cheese so this hasto be good, right?